The CRT900L has a large 17" working width and is ideal for frequent use - ploughing, cultivation and ridging. Counter-rotating tines and high rotational speed make light work of your toughest projects in the yard. 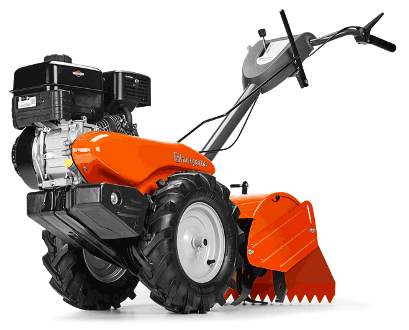 Equipped with a reliable, easy to sart Briggs & Strattone engine with forward and reverse gears for improved maneuverability around the garden. The Husqvarna CRT900LTiller is available at KK Lawn & Sport at any of our four locations. Contact us for more information.